Wash both the vegetables. 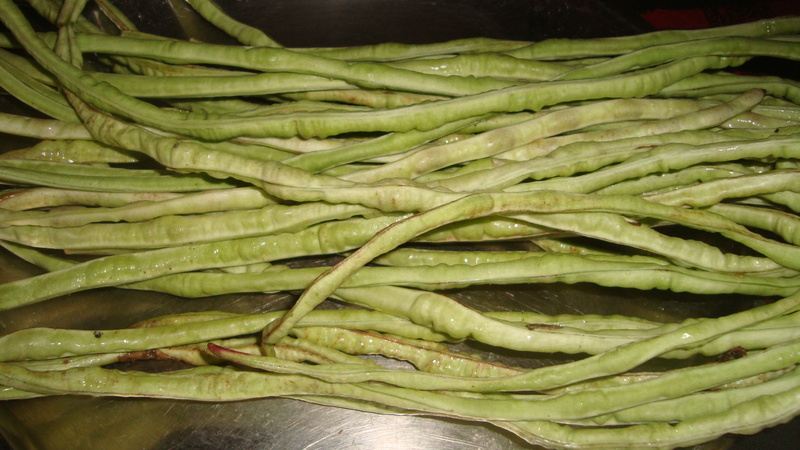 Cut long beans into 2 inch size pieces. Peel the skin from carrot and cut it into small stripes of same size of 2 inches. In a kadai put oil and when it is hot add mustard. When it pops up add cumin seeds, asafotida and curry leaves. Then add both the cut vegetables. Add sambar powder, turmeric powder and salt. Sprinkle two or three handful of water and mix well. Cover with lid and cook on medium flame till the vegetables are cooked soft stirring now and then. Before removing from stove, add coconut gratings and mix it well. Thank u so much for yr recipes… I was always struggling to cook variety of vege dishes especially I became a vegetarian 2 years ago. Yr guidance really helps me alot! Uggaluku mikka nandri. Thank you very much KAMALA for such a nice recepies . Fond of preparing food.So pl keep this work of helping us. I found the green yard long beans, at farmers market, but when we boiled them, I took a taste out of the pot, they tasted very bitter! Why did this happen? I am not sure about the variety of long beans which you get in your place. I tried green long beans available in USA and never tasted bitter. I also saw these beans red! I read the red ones turn green after cooking? Do Tamils eat the red ones? Can you explain how to select a good quality one, either red or green? Maybe I didn’t select good one which is why it tasted bitter or maybe if you over cook it it turns bitter? I have never seen this red beans in the market and not tried it. We get green variety and it will not taste bitter even if you overcook it. Your beans look so smooth, bright green and firm. however the beans sold in the market here are very wrinkled, sometimes feeling like an empty sack. Is it true better ones are smooth and wrinkle free? How do you select your beans? Here is a picture I found online to show what I mean. Often it comes dull green, wrinkled like an empty sack when you press it in some parts.i think its overmature and old. I don’t think this is how it should be? The long beans in the picture look like overmature and old only. The fresh young beans look pale green and fresh and taste good. 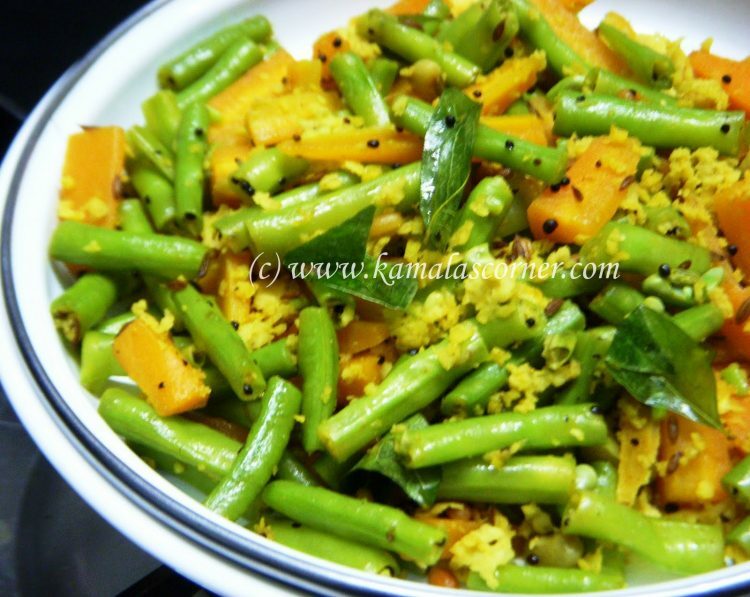 It would help if you or other bloggers posted a list of tamil vegetables with detailed pictures of how a good quality one should be. I’m having hard time finding such information.